After you have clicked on the link opposite, you will be prompted to either "Save" or "Run/Open" the setup file. Please click "Run/Open" and follow the installation procedure. to Save then click on "Save" and after the file has downloaded, double click on it and follow the installation procedure. Looking for an Apple Mac OS X version? All PAMS Software includes free e-mail based technical support. We aim to reply to any support queries the same working day. 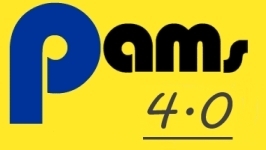 Free PAMS Demo software is available to download. Dr Sue McGaw, PAMS Author, founded the UK based NHS Special Parenting Service in 1988.